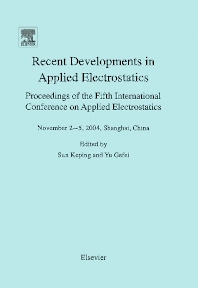 This proceedings contains papers presented at the 5th International Conference on Applied Electrostatics held in Shanghai, China on November 2--5,2004. The ICAES 2004 Conference is of wide interest, as is shown by the contributions received from 11 countries and districts throughout the world. About 90 researchers attend the conference and more than 100 papers were submitted for presentation in the proceedings. These papers demonstrated recent research level and developing trends of the entire electrostatic field.